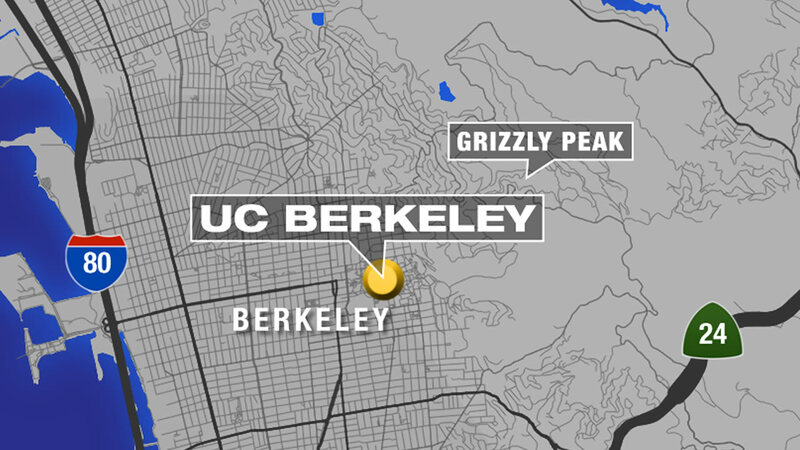 BERKELEY, Calif. -- Police are on the lookout for a man who attacked and tried to rob four male UC Berkeley students. They pulled over to check out the view on Grizzly Peak at 11:20 p.m. Sunday. That's when a man, armed with a gun, walked up to them by Signpost 21 and hit two of the students. They drove off before he was able to take anything. Police searched the area, but found no sign of the attacker. UC Berkeley police say the students noticed three cars, with numerous people in each car, already at the turnout before the attempted robbery occurred. The three vehicles were described as a white, early 90's Ford Thunderbird, a black or dark blue early 2000 BMW 3 series and an unknown model newer black or dark blue sedan. There were about 10 people, which included black and Hispanic males, including Hispanic females. Anyone with information about this crime is urged to contact the University of California Police Department, Criminal Investigation Bureau at:(510) 642-0472 (8 A.M. - 5 P.M.) and (510) 642-6760 all other times.